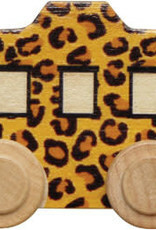 The fun leopard pattern sets this caboose apart from the rest. A perfect end to a animal or safari train. 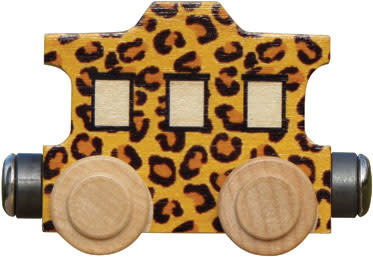 The NameTrain Leopard Caboose is crafted from local sustainably harvested native maple hardwood and is compatible with our and other wooden railway systems. Measures approximately 2-3/4" long by 2" high. Strong magnets allow you to attach to your name or make a special train. Non-toxic finish.